True CollectorM,14[closed single quote]s Pieces. 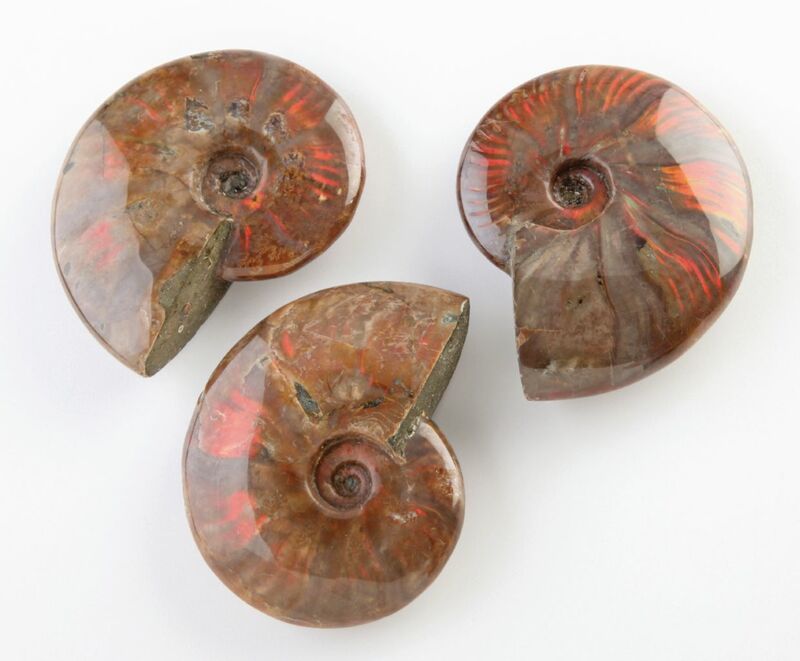 Amazing, whole fossil ammonites with polished, gemmy, red iridescent shells. Superb color depth and quality. Average size: 3" diameter. Limited Edition. Madagascar.